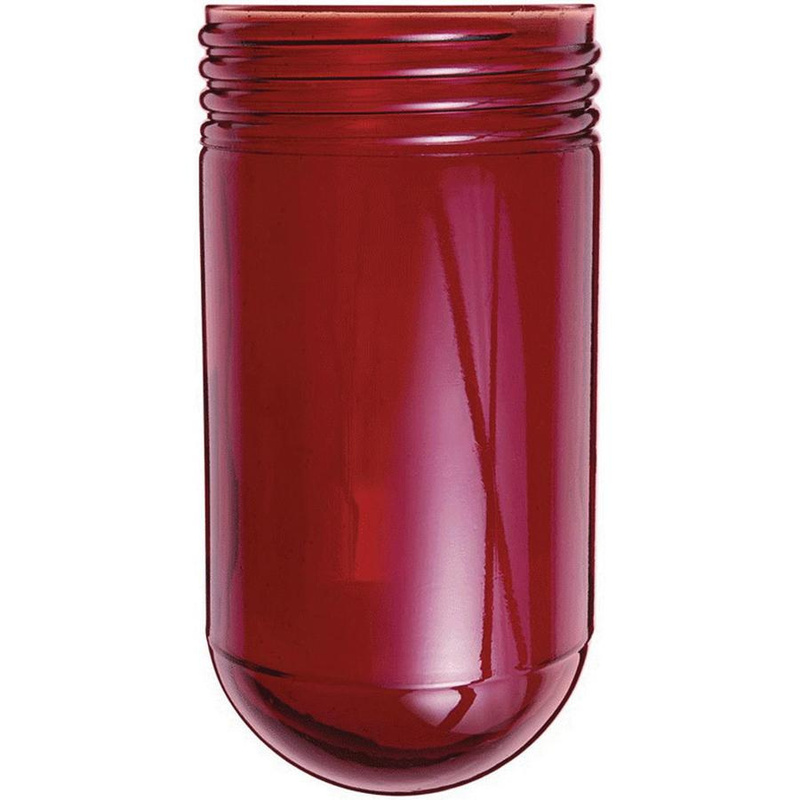 Rab Cylindrical globe in ruby color, features crystal lime glass construction. It measures 3-1/4-Inch Dia x 6-3/4-Inch. This threaded round bottom globe is suitable for use with 100-Watt RAB, other standard vapor-proof fixtures and lawn lights.